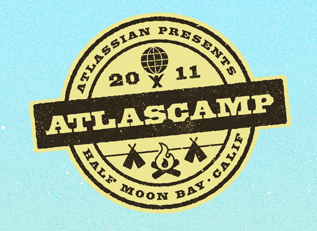 In my current job I’ve been learning a lot about Atlassian products and technology. Before I started I’d used Bugzilla and TestTrackPro and a few wikis but none of the Atlassian products. In fact I’d passed over Jira for the equivalent Seapine Product known as Test Track Pro. As hindsight is 20:20, Jira is clearly the better product both in it’s included features and the tools available to extend it. The JIRA Platform: With the introduction of JIRA 5, Atlassian is committing to a stable API for that major version that will roll for for the life of that version. Atlassian advises that a major version will last 12-15 months in the field. Once a method is deprecated it will remain in that major version and will disappear in the next major version. Confluence 4: Confluence 4 supports XHTML language over wiki markup. Whats great is that fixes a lot of the issues with tables as the wiki markup was beginning to hit its limit with tables and bulleted lists. The rich text editor has been replaced with TinyMCE. Often times on save the table format would get blown out and turn into garbage. Atlassian promises to make good on that issue in the new version. What is a bummer though is that you cannot access the XTHML source through the UI. You can only get access to the XHTML via the API. Access to Engineers: Atlassian has done a great job at making the engineering team accessible at this conference. We’ve had a number of in depth technical discussions with all levels of the organization and were given solid advice on how to proceed forward. That alone is worth the fees of the conference. The AtlasCamp is a developer conference that is well done. You can clearly see polish through the conference and it gets better every year. At only $200 to attend, it is well worth the time and money to attend.